I am one who suffers with extremely dark under eyes and find it a nightmare to create a bright flawless awake look. Everyone looks a bright under eye as it makes your makeup look so much better. 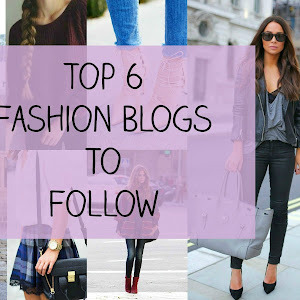 I have recently found my perfect products which do just that! Say goodbye to those tired dull black bags! Alot of people forget this step but it is one of the most important. You prep your face with primer so why not prep your under eyes. Finding a good eye cream is key, my current favourite which I make may have been discontinued is the Boots Vitamin E Eye Cream. An eye cream will help keep skin smooth, fresh and prevent wrinkles. 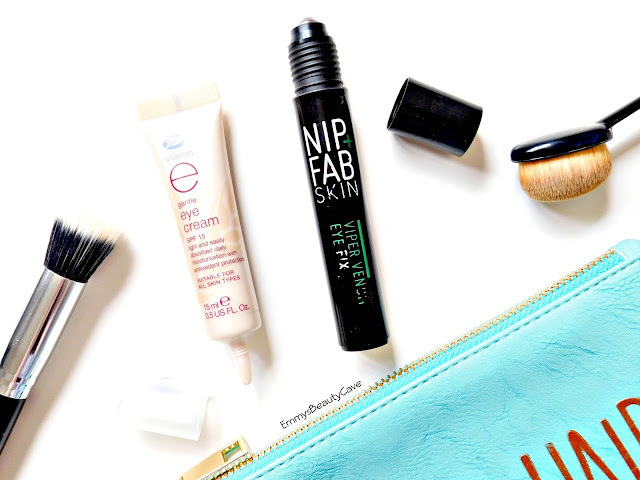 I also use the Nip + Fab Viper Venom Eye Fix which is amazing! I love this roll on, I roll this all over my under eyes and the inner corners of my eyes and my eyes instantly feel refreshed. It has a cooling feeling and also helps to reduce wrinkles and fine lines. When you have dark under eye circles colour correcting is key. 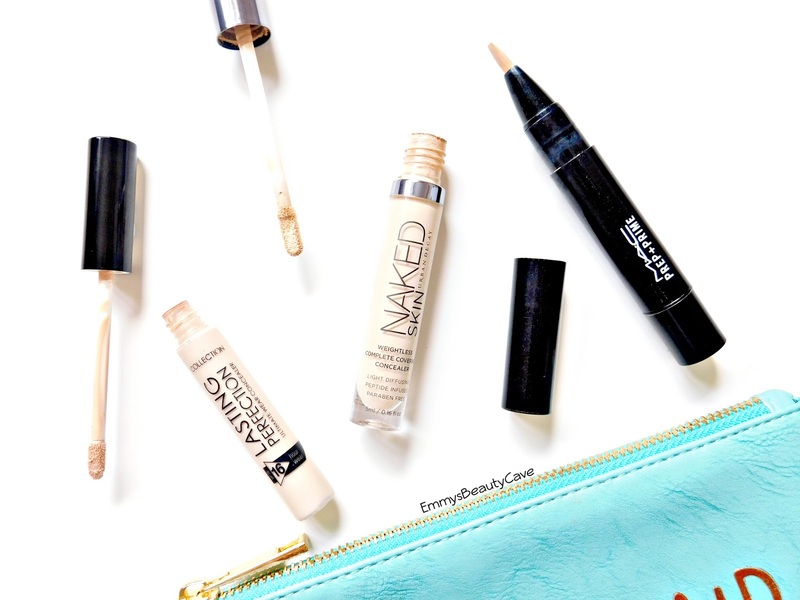 Most concealers alone won't cover dark circles. 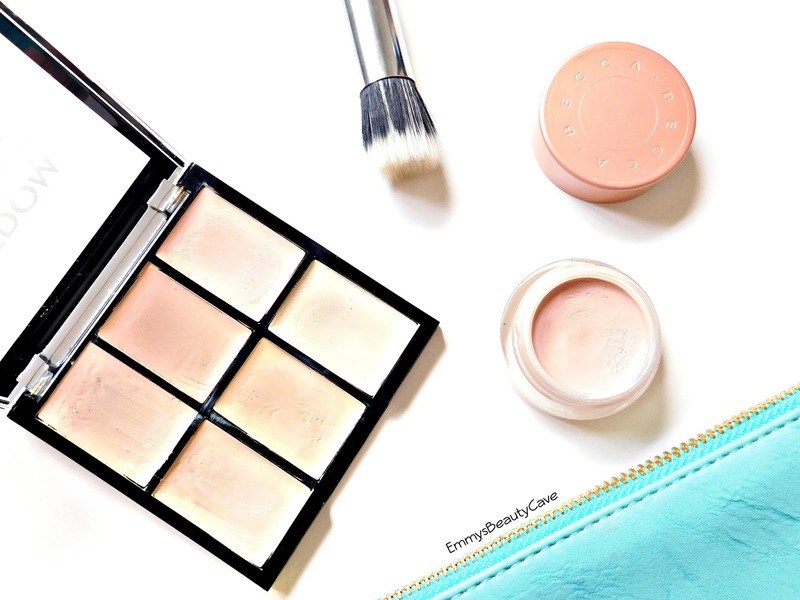 My ultimate holy grail corrector is the Becca Under Eye Brightening Corrector. It is a peach/pink tone which corrects dark under eyes, You have to apply concealer on top as the Becca Corrector can't be worn alone. I also really love the Freedom Pro Conceal Palette which includes, pink, peach, neutral and green tones. All of these are perfect to correct redness and blemishes. 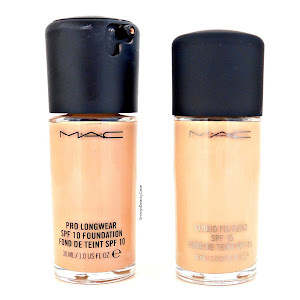 For the days I don't want to use a corrector or im in a rush I like a full coverage concealer, my two favourites are the MAC Pro Longwear Concealer and Collection Lasting Perfection Concealer. Both are very full coverage and great are covering dark circles. 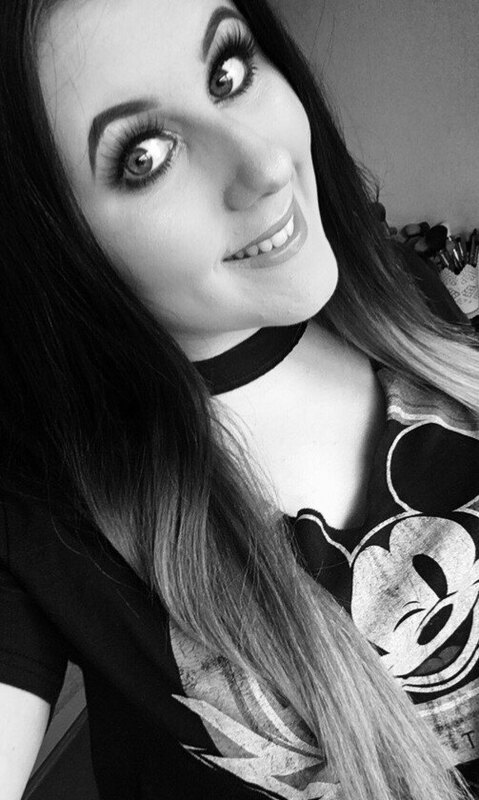 When I have more time and I use the Becca Corrector I love using the Urban Decay Naked Skin Concealer on top of it as it creates such a flawless finish and doesn't crease. When it comes to highlighting I use different ones. I sometimes use the Urban Decay one as I have a lighter shade to my skin tone. The MAC Prep + Prime Pen in Light Boost is a subtle yellow toned highlight which works really well. My drugstore pick is the Seventeen Skin Wow Concealer which I am obsessed with. 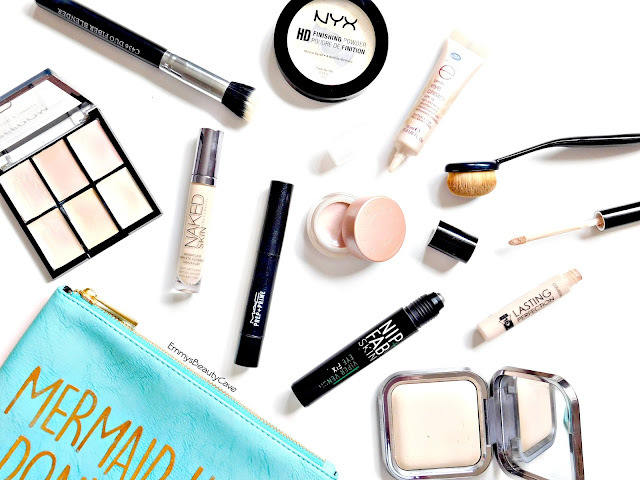 Once you have done your concealer and highlighter you don't want to use the same powder as your face powder. You want to use a lighter powder that will help brighten the under eye even more. 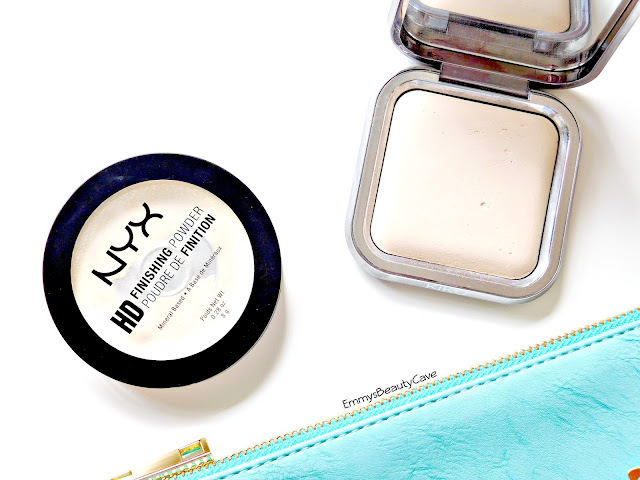 I have really been loving the NYX HD Banana Powder, it has the most subtle yellow hint which makes it perfect on pale skin girls too. The other powder I have been using is the KIKO Matte Fusion Pressed Powder but they also sell an Illuminating version of this which I want to try. If you prefer a loose powder you can use the Vichy Dermablend Setting Powder which is white and works insanely well if you bake with it. I apply it with a sponge and leave it for two minutes before sweeping off.